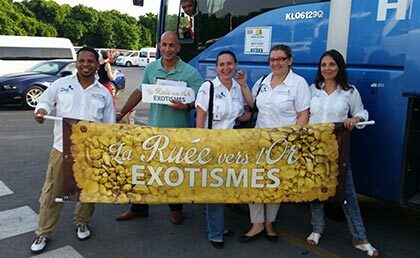 Dominican Republic is one of the best places for Travel Incentive groups. 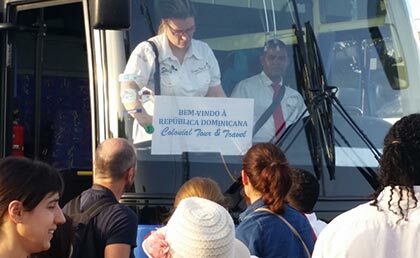 For your next incentive or group event, make it a destination event and experience the difference that Colonial Tour and Travel can make when your executives, clients or salesmen arrives to Dominican Republic. Allow us to book your next corporate meeting in Dominican Republic. Our competitive rates and expert group coordinators will ensure that your next meeting or conference be everything that you want it to be. We carefully select destinations and properties that provide our clients with a highly desirable and memorable travel experience. And we're constantly looking for new and better ways to help you achieve the goals you set out to accomplish. 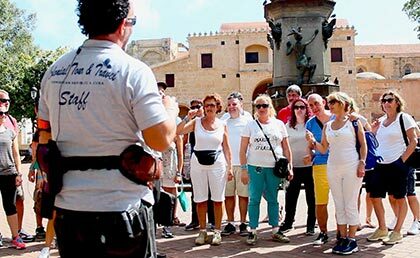 Colonial Tour and Travel, one of the largest receptive tour operators in the country, with more than 20 years of experience, representing international tour operators, groups, corporate travel, meetings, and congresses in Dominican Republic. We will offer you an assorted selection of hotels and resorts in all the main tourist destinations of Dominican Republic, as well as reservations, comfortable transfers, and professional multi-lingual assistants that will accompany your clients. 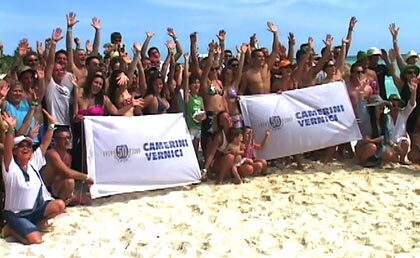 In addition to our main office, which is located in Santo Domingo, we have branch offices in all the main tourist zones of the Country such as Punta Cana - Bavaro, Samana, Puerto Plata, Boca Chica, Juan Dolio and Bayahibe, where you will be greeted by a staff of professionals and experts in the tourist field and who will work 24 hours to offer excellent service to our clients. Personalization of graphic material for your groups as logos, signboards, uniforms. Coordination of special gifts, freebies. Communication radios for tour leaders and executives. Possibility of pre-payment of the tour-taxes for arrivals and departures. Why the Incentive Travels ? Generate loyalty in your customers. Let us coordinate your events. 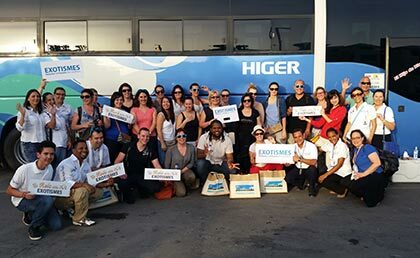 Colonial Tour and Travel will make it a wonderful and cost effective experience ! GFK, the fourth largest marketing research organization in the world. GFK conducted telephone interviews with executives responsible for the development and budgeting of incentive travel incentives. In total, 1,121 executives were interviewed. * 20 percent of U.S. companies use travel incentives. * Incentive travel is seen as an investment by 85 percent of companies with revenues over $100 million. * The average budget for travel incentives was $164,271. * More than 75 percent of incentive travel end users spent between $100,000 and $500,000. * More than half of large companies stated their budgets for incentive travel have increased over the past two years and believe they will continue to increase over the next two years, while almost one third say they have remained the same. Why should I offer a travel incentive instead of monetary incentives? How can I apply these different travel incentives? Are you and your company ready ?